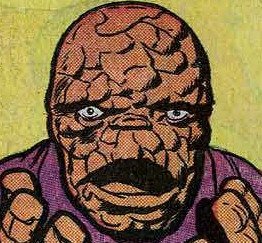 Fantastic Four Headquarters is a site that looks back at the history of the comicbook, so a full look at 2018 will be done more with the benefit of hindsight. However, just for fun, a "first day take" of the year's issues will be added. While a review of Issue One had a reasonable amount to say, Issue Two, while better, inspires even less discussion. 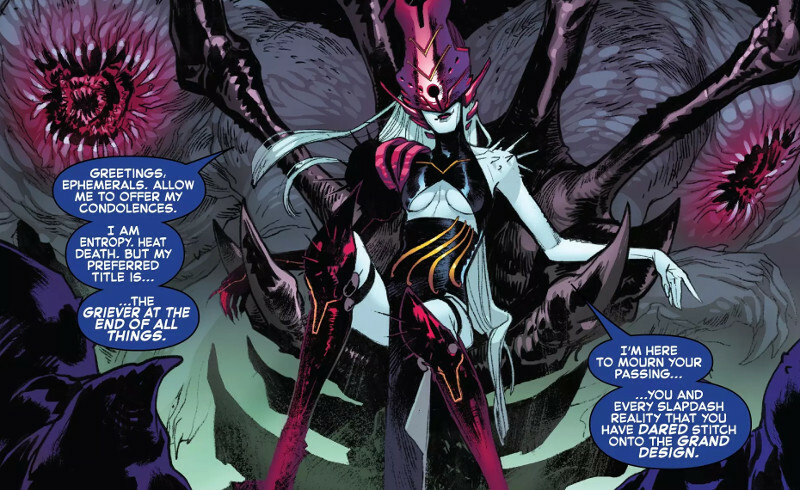 Taking up Reed and Sue's side of the story, it sees the multiverse's personification of entropy try to wipe them out for creating new universes. With them is the Future Foundation, led by Franklin and Valeria, both of whom have aged considerably. It all ends with Reed summoning the rest of the Fantastic Four, which means not only Ben and Johnny, but everyone who's ever been a member. The whole thing moves along at a fair pace, and although the concept of "decompressed storytelling" could never really work for a book like the FF, there's enough plot in this one to make it a worthwhile read.. well, just about. The problem is the long-standing problem with the title... it's not being written for a wider audience any more. The return of the FF to comicbook shelves attracted some decent publicity, but this is issue 2 and the original four are only back together on the last couple of pages. Casual readers won't really care where Reed and Sue have been, and what's happening to the kids... they just want the Fantastic Four back together and having adventures. This is not to suggest that the series should have a "reboot", but it's surely bad business practise to take up the story from the point at which it was suffering low sales and was cancelled. Although not quite the same, the closest example that springs to mind is when they attempted to revive UK TV series Doctor Who in the late 90s, and shot a "hand over" from the previous lead to the new one.